Greenbank Farm is a former working farm that has evolved into a community of shops offering everything from wine and cheese to pies to furniture. The farm is located along one of the narrowest points of the island and the walking trails offer beautiful views of the water. 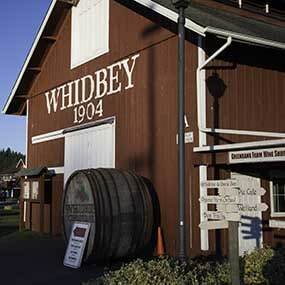 The farm was once the largest grower of Loganberries. Chateau St. Michelle winery owned the farm for a while and tried to grow wine grapes. When that didn’t work out, members of the community rallied to buy the farm and save it from development. 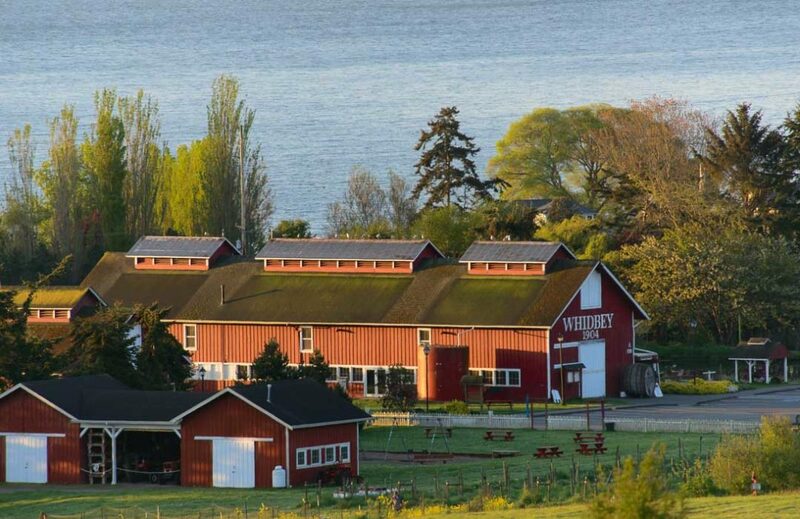 Located at about the island’s halfway point, the farm makes for a great midday stop while touring Whidbey Island. 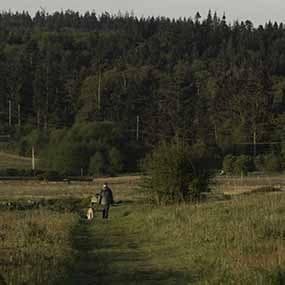 The farm was saved from private residential development in 1997 when a group con­sist­ing of the Port of Coupeville, the Nature Conservancy, and Island County purchased it. 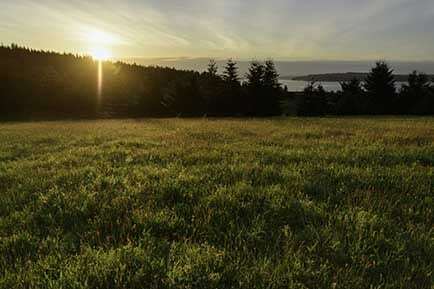 Sunrise from the farm’s walking trails. The barn is the site of many community events.